Asphalt Paving & Sealing company specializing in Residential Driveways since 1972. Call our office at 314-567-0800. 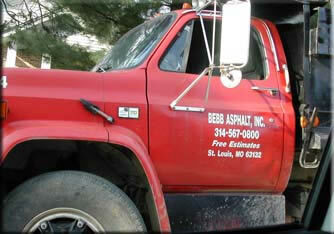 Bebb Asphalt is a family owned company that has been doing business in the St. Louis, Missouri area since 1972. 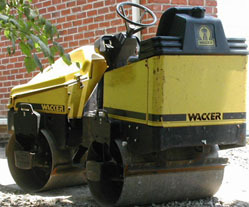 During this time we have asphalted or sealed over 5,000 driveways. 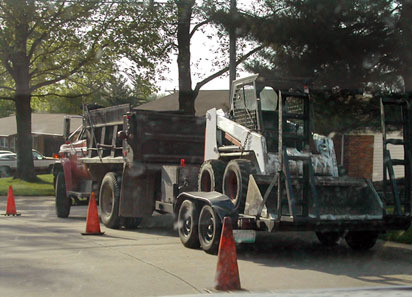 We take pride in doing quality work and are qualified to perform all types of asphalt construction: resurfacing driveways, parking lots, private streets, and sealing work. If you would like a FREE estimate on your driveway, we would appreciate the opportunity to give you a bid with no obligations. Please call 314-567-0800 or contact us for an estimate of the work you would like to have completed. An estimator will come by within a few days to measure and analyze your driveway. 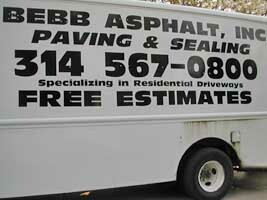 Bebb Asphalt, specializes in residential driveways within many St. Louis and nearby St. Charles communities. In previous years we have primarily worked in Ladue, Frontenac, Town & Country, Chesterfield, Kirkwood, Des Peres, Creve Coeur, Olivette, Brentwood, Richmond Heights, Glendale, Ballwin, Manchester, St. Charles, St. Peters, Wildwood, Sunset Hills, Sappington and Warson Woods just to name a few. We are experienced contractors with 38 years in the business. Check our references page to drive by and see samples of our work in your area. The season for asphalt paving and sealing is coming soon. Did you know that during the winter, freezing and thawing causes a great deal of damage to asphalt driveways? Preventative maintenance in the form of resurfacing your driveway adds value to your home! Call 314-567-0800 now and we will be happy to come out and give you an estimate on your driveway. Home | Contact Us | Estimates | References | © 2006-2011 Bebb Asphalt, Inc.